Offensive coordinator Josh Herring of Lassiter High School in Georgia has made this route a staple in his offense and has found consistent success. Herring calls the base concept “squeeze” because the QB reads whether or not the defender squeezes the inside route. The play produced 8.1 yards per call and was completed at a 67 percent rate in 2013. In 2014, those numbers were 10.0 yards at 59 percent. 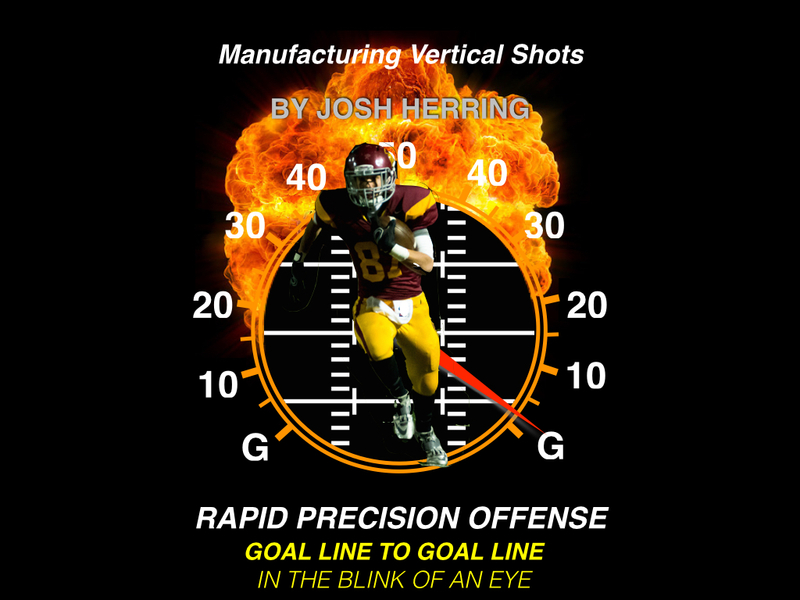 Josh Herring will be our guest host on #Edgefbchat tonight (Thursday 5/21) at 8pm Central Standard Time (9EST). I continued to be impressed with Josh Herring’s ability to teach and coach offense. The concepts he has shared on the Coaches Edge Technologies platforms have been full of detail. This Quick Hitter on the “Squeeze” concept is no exception. Coach Herring delivers a sound explanation of how this concept works in his text, diagrams and tutorial videos which total over 40 minutes. He follows it up with 72 cut-ups for the coach to review and develop his own understanding. This Quick Hitter explaining a simple quick passing game concept gives the coach reading this manual every aspect he needs to incorporate it into his own offense. Squeeze is made up of two routes: Win and Squeeze. The Win route is basically a seam route in which the receiver must “win” inside of the hole player. You can think of the Squeeze as a 5 yard flat slant or mini dig, whichever verbiage you prefer. It has been an incredibly consistent pass pattern for us for years. It is our most common quick game pattern. We feel it can be incorporated into any offensive system with ease. There are a number of advantages that the pattern provides us and very few disadvantages. As long as your offense contains a formation with two deployed receivers to a side, you can run the play. Squeeze is high percentage and enables the ball to come out fast. We once completed a ball in a playoff game in which our left tackle busted a protection and a defensive end came completely free and untouched right at our quarterback. The ball was out before he got there. The read for the quarterback is extremely simple. We teach the play in our program even at the 4th grade level and even a 4th grade QB can make the correct read. 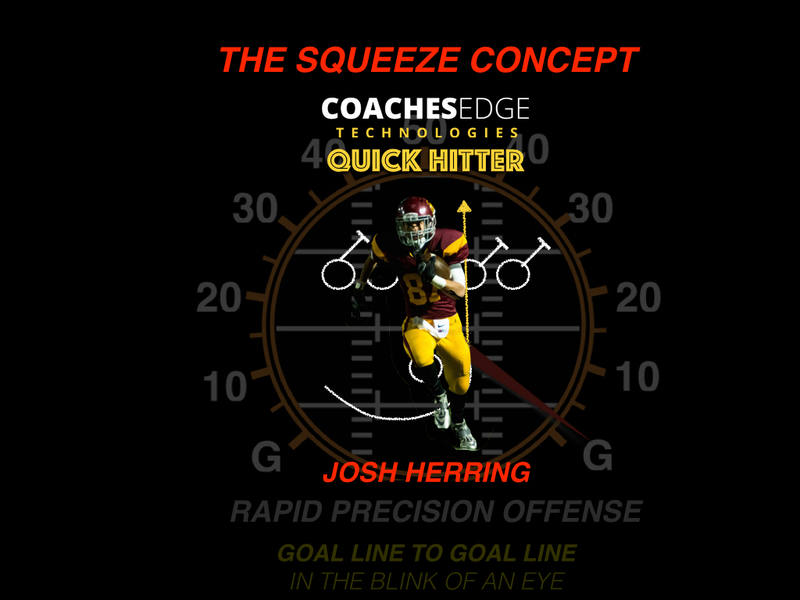 This entry was posted in Uncategorized and tagged explosive offense, Josh Herring, quick rhythm option routes, squeeze concept by coachgrabowski. Bookmark the permalink.